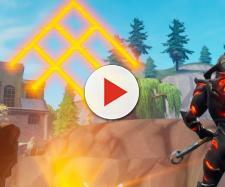 'Fortnite:' Emote footage leaked; 'Dark Souls,' Snoop Dogg emote confirmed? A 'Fortnite' fan may have leaked some yet to be released emotes for 'Fortnite' BR. Players are beginning to see meteors hit the "Fortnite" Battle Royale game map, suggesting that Epic has something massive prepped for Season 4. However, some of the items that are likely to be added in the upcoming season may have been leaked, especially the emotes. Credit goes out to JH9 who first posted the alleged Leaks over on Instagram. These were then posted over on Reddit and have been gaining traction among "Fortnite" BR faithfuls as of late. Fans of the game have been pushing for the so-called Snoop Dogg emote to be included in the game. If JH9's leaks are accurate, it looks like Epic has heeded to their call as the Smooth Ride is ready to be rolled out. 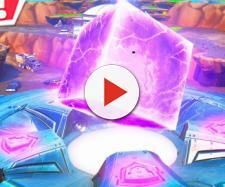 It is said to be deemed a rare cosmetic and will cost 500 V-Bucks by the time it goes live. Another upcoming emote dubbed as the Squat Kick is also ready to be rolled out. This Russian-themed emote will have an Epic rarity and will be a bit steeper at 800 V-Bucks. This leaked emote is without a doubt paying homage to one of "Dark Souls'" iconic gestures – Praise the Sun. Known as Storm Salutation, the upcoming emote will have an uncommon rarity and will be priced at 200 V-Bucks. This is probably the coolest emote among the four. The Rocket Spinner emote will allow players to ride some sort of a disk hover board rigged with five big rockets. Just like the Squat Kick, the emote will have an Epic rarity and players can have it at 800 V-Bucks. These alleged leaks should still be chewed on with some grains of salt. However, if these are confirmed to be true, there's a possibility that these cosmetics will be rolled out alongside "Fortnite's" Season 4. Just like the leaked emotes, it is not yet confirmed as to when will these be introduced in "Fortnite" BR, though it is pretty much expected by game buffs to be dropped in the upcoming season as well.